Russia is hinting that a new wave of U.S. Marines in Norway, near the Russian border in the Troms region, could be viewed as an attack, the MarineTimes reported. According to Zakharova, the policy of the Norwegian government to support a doubling of Marines “in the country and deploy them near the border with Russia undermines mutual confidence.” Furthermore, she argues, the Marines’ presence in the Arctic country — a few hundred miles from the Russian border, in fact, could be an attack. The statements come as the Norwegian government intends to add another 400 U.S. Marines to Norway before the most significant military exercise since the Cold War this fall. However, the Marines are not permanently stationed in the country, only on a “rotational deployment,” the Norwegian defense ministry recently stressed. “We paid attention to the reports of the Norwegian Ministry of Defense released on June 13, which contain Oslo’s agreement to double the US Marine Corps stationed on the Norwegian territory from 330 to 700 people, prolong their rotation presence there for five years, expand its footprint to the north, closer to the border with our country, and create infrastructure for warplanes at the expense of the US under the implementation of the so-called European initiative to deter Russia,” Zakharova said. “We are particularly concerned that Oslo is implementing these plans when there is neither substantive political dialogue nor meaningful contact between the [Russian and Norwegian] militaries, as Norway has been avoiding contacts,” the Russian embassy said. “We believe that European security must be equal and indivisible. It is only possible to ensure it if true national interests are pursued, while there is mutual respect and cooperation. The sooner Oslo comes to realize it the better,” the embassy added. Speaking at the Naval War College last week, Commandant of the Marine Corps General. Robert B. Neller said the approval for additional Marines in Norway had cleared. Neller has been an advocate for sending Marines to extreme cold-weather environments for Arctic warfare training. 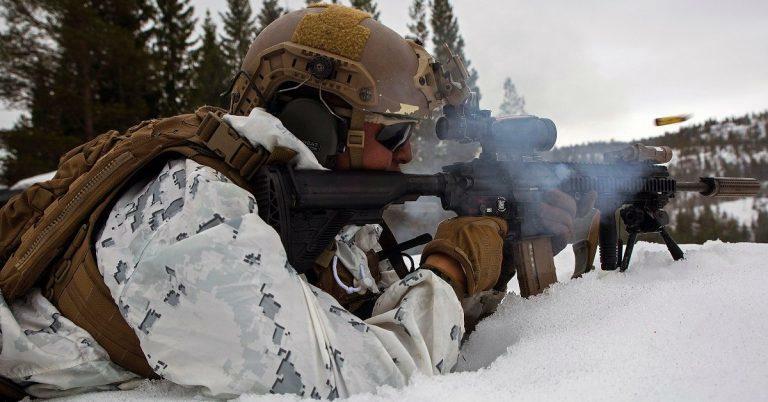 The Marines are currently on six-month rotations to Norway, where soldiers are preparing for cold-weather warfare to counter Russia. 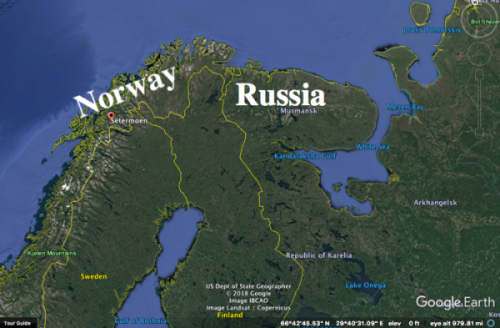 According to the map below, Norway shares a 122-mile border with Russia and the Setermoen region, where the new force of Marines will be stationed, is roughly 250 miles from the border. In the fall, Norway will host one of the largest-ever North Atlantic Treaty Organization (NATO) war drills, involving up to 35,000 participants. This is the calm before the storm. As we’ve mentioned before, NATO’s chess pieces are being positioned in Norway and surrounding regions before the largest military exercise since the Cold War this fall. It is becoming increasingly evident that a collision between NATO and Russia is on the horizon.